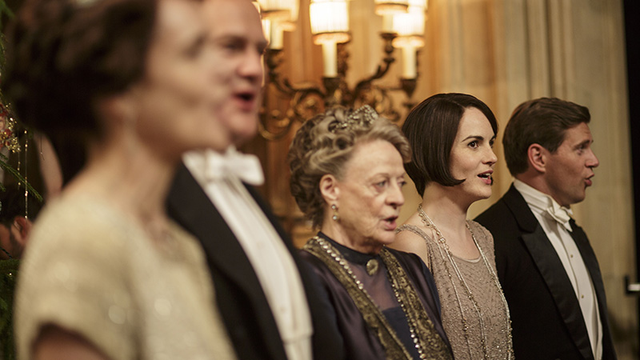 A runaway hit since it debuted on PBS in 2011, Downton Abbey —a Carnival/MASTERPIECE co-production—is widely credited with reigniting American viewers’ passion for British drama. It is the top PBS drama of all time, the most popular series in MASTERPIECE’s 44-year history, and one of the most-watched dramas on American television, frequently beating the competition in its Sunday night time slot. MASTERPIECE is presented on PBS by WGBH Boston. “PBS and our member stations have been so proud to be the home of Downton Abbey on MASTERPIECE in the United States," said Paula Kerger, President and CEO, PBS. “We, like the fans, simply cannot wait to see what will happen to the Crawley family and their beloved staff as this incredible series culminates in Season 6. The series has enjoyed such success over the past five seasons and we'll certainly be working alongside Carnival, MASTERPIECE and PBS member stations to make Season 6 the biggest yet. Until then, Sunday nights on PBS continue to offer fans a full slate of 'must view' British and, soon, American historical drama." With 51 Emmy® nominations, more than any other British show in Emmy® history, Downton Abbey is one of the most honored series on television. It has won 11 Emmys®, three Golden Globes®, three Screen Actors Guild Awards, a Producers Guild Award, and three BAFTAs.